1. She is the Romantic Comedy Queen. She has made us laugh, cry, and fall in love in her string of box office films. Paired with the country's top leading men including Derek Ramsay, Sam Milby, Jericho Rosales and John Lloyd Cruz to name a few. 2. She's Drop Dead Gorgeous. Undeniably one of the most beautiful celebrities of her generation. Consistently on the list of the country's sexiest women. She would not be hailed Sexiest Woman by a men's magazine last 2015 for nothing. 3. She Loves with all her Heart. Her loved ones always come first. She will do anything for the people who matter the most. 4. She's Passionate about her Craft. She puts her heart and soul in the things she does and always strives to do better. She works hard and is open to anything that can help improve her skills. 5. She is the Ultimate Star. In spite of the many challenges she had to face, she has emerged to survive and become one of today's finest celebrities. Her undeniable charisma has charmed many and her versatility, professionalism, and passion has proven time and again that she can do it all as long as she puts her heart into it. mas like kong leading man ni jen si ken chan..
DAPAT PO ANG GAGANAP NG MATTEO DO IS YUNG CHINITO PO,,HINDI BAGAY SI ALDEN RICHARD MAGING LEADING MAN NI MISS JENNYLYN MERCADO..PWEDE RIN PO SI RICHARD YUNG MR.CHINATOWN GRAND WINNER. I agree di bagay kay Alden pero kahit di chinito ok lang, Pinoy adaptation naman yan at pinoy ang gagampanan nilang role, chinito or not ok lang basta carry at bagay kay Jen ang leading man. Wag kayong mag alala, hindi talaga si Alden ang i pa partner sa kanya. Ayaw ni Alden kasi gusto niya si Maine ang ka LT niya. Si Ken Chan ang Matteo Do!!! Mikael Daez �� Jennylyn Mercado! Perfect role to for jennylyn, noong sinabi nga na may pinoy adaptation ang korean drama na my love from the star naisip ko si jennylyn agad ang lead actress at confirm na sya ngayon, omo i can't wait na mapanood si jen sa rom-com drama na ito. 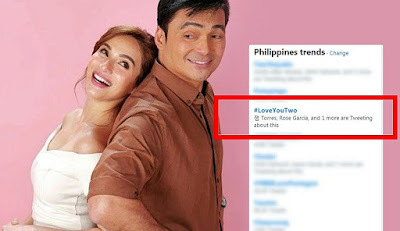 But now, im still thinking kung sino ang best na gaganap na lalaki as mateo do, uhmmm, so nagbasa ako ng comments ng iba KEN CHAN?,magaling din syang actor. Basta excited na ako kung sino man maging partner ni jen dito for sure madadala nya dahil magaling na actress si jen. ok lng naman sakin kung si Alden. ok lng hindi. i dont think gma will pair him with anyone else other than Maine for the role, hindi naman kelangan chinito eh, kasi Alien naman sya. kahit Paolo Ballesteros pwede jan sa role. Lols. pwede bang orig na matteo do na lang? parang ang papangit kasi umarte ng mga lalaki sa GMA .inisa isa ko sa utak ko mga artista ng 7 parang walang bagay mag matteo do. Hays. Pag yang remake pumanget dahil sa leading man ah.. ok na Jennilyn saken. Matteo Do na lang . ken chan for matteo do. Dapat matangkad ung gaganap na mateo do.